The Amberleigh Chronicles Webcomic is in development. © 2004-2017. 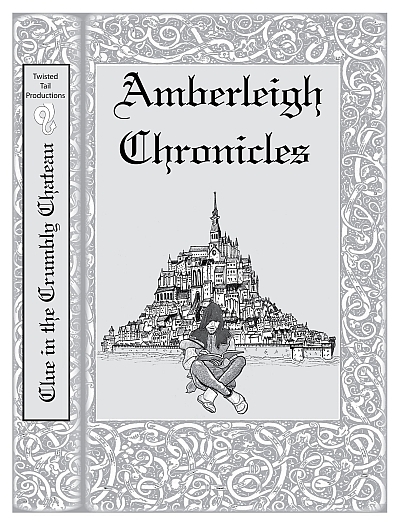 Amberleigh Chronicles is written by Robert Stradley & Leslie Dubiel-Stradley, and illustrated by Robert Stradley. Characters and elements of Amberleigh Chronicles are TM and © 2012-2014 Robert Stradley. All rights reserved. Graphic novels are published by Twisted Tail Productions PO box 9778 Wichita Falls, Texas, USA 76308. All names, characters, places, and events are ficticious and are meant to be treated as such. Any resemblence to actual persons past, present, or future is entirely coincidental. Our improbability drive is still on the fritz, so if anyone knows a good improbability technician, please advise. If you can read this, you probably don't need new glasses.